My publications have touched on many themes and topics, from the history of conservation biology, the conservation and political implications of the rural-urban divide, and the existential challenges of climate change, to contemporary critiques of conservation, the evolution of the land ethic, and ecological restoration in times of rapid environmental change. If you are looking for a specific piece, or something on a particular theme, please feel free to contact me! “The Crucible of Conservation: Land, Science, Community, and the Wisconsin Idea.” In Reclaiming the Wisconsin Idea, C. A. Goldberg, ed. (Madison, University of Wisconsin Press, in press). “Reading Records with Estella Leopold.” In What Kind of Ancestor Do You Want to Be?, J. Hausdoerffer, B. Hecht, K. Cummings, and M. Nelson, eds. (Chicago: University of Chicago Press, in press). “Oriented Southwest.” In The Nature of Desert Nature, G. P. Nabhan, ed. (in press). “Gathering of the Voices.” Foreword to Afield: Portraits of Wisconsin Naturalists, 1850-2017 (Volume One), S. W. Matteson, ed. (Mineral Point, WI: Little Creek Press, in press). Introduction to Revisiting Aldo Leopold’s Land Ethic: Emerging Cultures of Sustainability, W. Forbes and T. Trusty, eds. (Nacogdoches, Texas: Stephen F. Austin State University Press, in press). “Aldo Leopold’s A Sand County Almanac: Introduction to the Brazilian Edition.” R. Ribon, translator (Belo Horizonte, Brazil: Editora UFMG, in press). “Philosophical and Cultural Dimensions of Conservation Biology.” In Foundations of Conservation Biology, J. Brawn, S. Robinson, and C. Meine, eds. (Chicago: University of Chicago Press, in press). “The Pragmatist’s View: A Conversation with Bryan Norton.” Pp. 273-292 in A Sustainable Philosophy–The Work of Bryan Norton, S. Sarkar and B, Minteer, eds. (New York: Springer, 2018). “‘He Walked Through Open Doors’: An Introduction to The Land Remembers.” Introduction to B. Logan, The Land Remembers: The Story of a Farm and Its People, pp. ix-xxiv (Madison: University of Wisconsin Press, 2017). (With Keefe Keeley.) Preface to The Driftless Reader, pp. xxvii-xxxiv (Madison: University of Wisconsin Press, 2017). 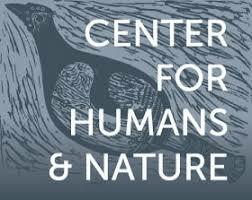 “The Calling of Cranes.” Center for Humans and Nature. Link Also posted, with interview, on the website Agate, 29 August 2016. Link. “Preface to the 2010 edition.” Pp. xvii-xxxi in C. Meine, Aldo Leopold: His Life and Work (Madison: University of Wisconsin Press, 2010 edition). “Leopold, Aldo.” In Encyclopedia of Global Change: Environmental Change and Human Society, A.S. Goudie, editor-in-chief (New York: Oxford University Press, 2001). “Reimagining the Prairie: Aldo Leopold and the Origins of Prairie Restoration.” Pp. 144-160 in Recovering the Prairie, Robert Sayre, ed. (Madison: University of Wisconsin Press, 1999). Reprinted in The Prairie Reader 4,1 (Summer 1999): 5-7; and 4,2 (Fall 1999): 1, 3. (With Richard L. Knight.) Introduction to The Essential Aldo Leopold: Quotations and Commentaries, pp. xiv-xix (Madison: University of Wisconsin Press, 1999). “The Reach of Words.” Pp. 314-316 in The Essential Aldo Leopold: Quotations and Commentaries (Madison: University of Wisconsin Press, 1999). Reprinted in Wild Earth 9,3 (Fall 1999): 22-24. (With G.W. Archibald). “Family Gruidae.” Pp. 60-89 in Handbook of the Birds of the World, Volume 3, J. del Hoyo and A. Elliot, eds. (Barcelona: Lynx Editions and the ICBP, 1996). “Aldo Leopold’s Early Years.” Pp. 17-39 in Companion to A Sand County Almanac: Interpretive and Critical Essays, J. Baird Callicott, ed. (Madison: University of Wisconsin Press, 1987). “Building ‘The Land Ethic.’“ Pp. 172-185 in Companion to A Sand County Almanac: Interpretive and Critical Essays, J. Baird Callicott, ed. (Madison: University of Wisconsin Press, 1987).